This immaculate, furnished 3 bdrm, 2 Â½ bath home is a jewel. What sets it apart from other townhomes is location, spacious room sizes, generous outdoor living spaces, and huge storage space. 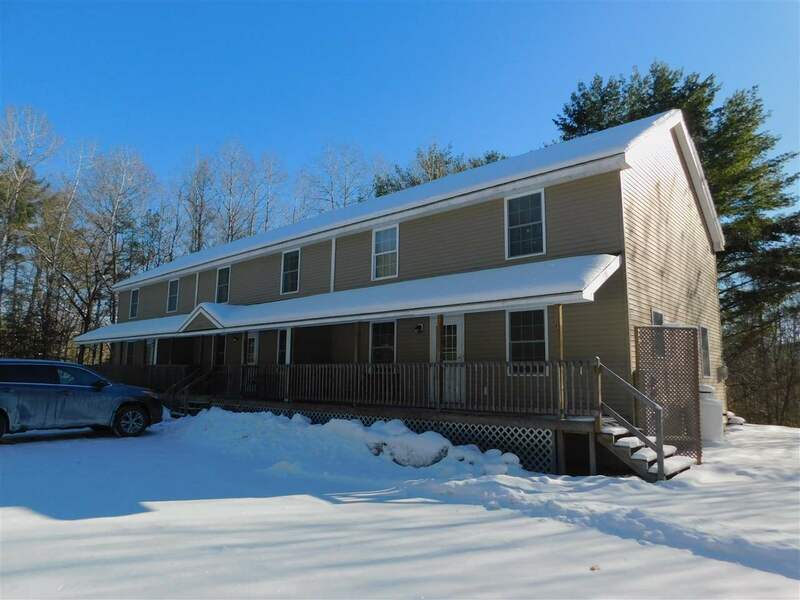 Take pleasure in the peaceful surroundings of a lovely, wooded, private location that is also centrally located, convenient to I-93 and to ski resorts, shopping and schools, but just off the beaten path. It is the perfect place for a young couple looking for their first home, a family looking for a vacation home, or a couple looking for a retirement home that will require less maintenance. During Spring, Summer and Fall, you might want to relax on your own roomy farmers porch or back deck while you barbeque. After a long day of skiing or hiking, (or just a hard day at work!) everyone can gather around the gas fireplace in the living room, and the generous dining room is furnished to easily accommodate friends and family. The large kitchen boasts loads of counterspace, a new smooth top stainless range and microwave, Bosch dishwasher a quality refrigerator, and wood cabinets. The basement, which houses the heating/hot water unit, is enormous and offers a multitude of storage options for skis, bicycles, etc.! Upstairs, each roomy bedroom is, nicely appointed, designed to accommodate two in each room. The airy master bdrm comes with queen bed set and has a lovely private bath. The home has recently undergone a complete renovation. See disclosure attached.